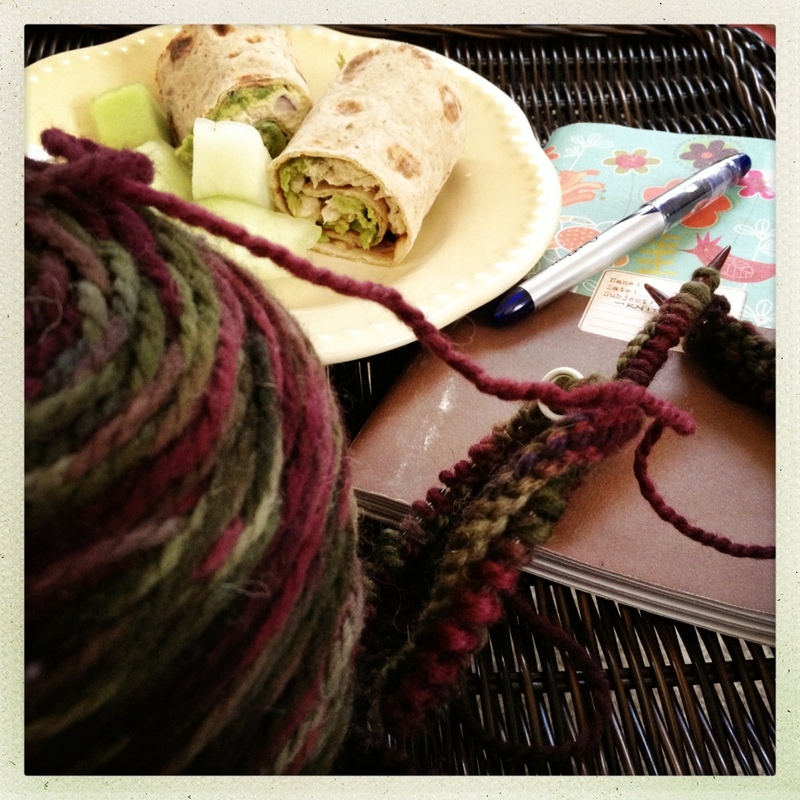 When knitting ideas happen, lunch will wait. I’m infatuated with seed stitch this week. We’ll see. Today is a good day to knit. There’s too much to think about, too much news to filter. Knitting consoles (therefore, more people should knit). This particular stitch experiment is a big circle of Briar Rose Fibers Sonoma. I’m just fiddling right now, but it might work. The lunch is tuna and avocado in a flatbread wrap, and honeydew melon. Sorry, no link. Lunch sounds yummy, and the yarn looks yummy too.